Brainwavz M2 IEM Review: Gorgeous Build, Decent Output. A couple of weeks ago, We reviewed the Brainwavz M1 - A Solid set of mid-range earphones. While earlier this past week, The company sent us the new Brainwavz M2 - Yet another mid-range earphones which could be rephrased as a successor to the M1 considering the number change. The Brainwavz M2 IEM Earphones have eliminated a lot of the facts that we didn't like in M1, and these new Earphones are solidly built. So we've been using these earphones for the past week and here's the complete Brainwavz M2 IEM Review as it got recently announced in India. It features 10.7mm Dynamic Drivers having rated impedance of 20 ohms. They have a frequency range between 20 Hz to 20 KHz. 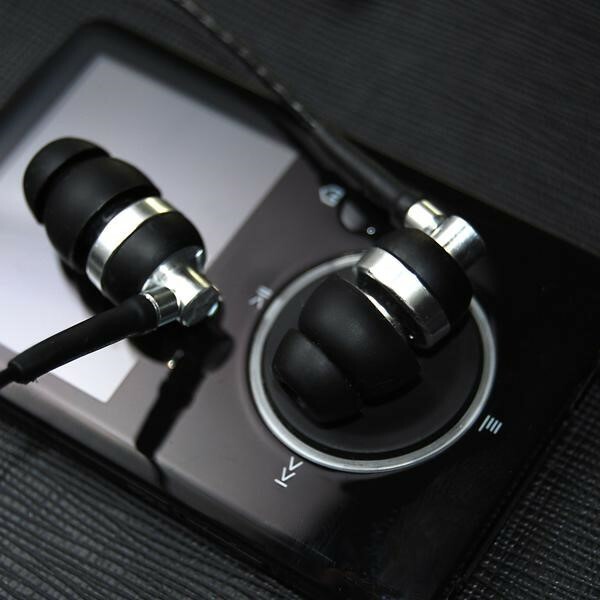 These earphones have an input power of 10 mW, and the sensitivity range lies in 115 dB at One mW. It has a 1.3m Y-cord Oxygen free cable with a 45° 3.5mm gold plated audio connector. Remember the old Brainwavz M1's slippery built which gave us a hard time removing those from our ears? Well with the new Brainwavz M2, the company has solved that issue by completely removing the plastic from the central unit and replacing it with an all metal design. Being said that I previously felt that those metal units might make the audio listening experience on the weak side due to their weight, but that isn't the case as those metal units aren't heavy by any means. Fun fact, You might also think that the Brainwavz M2 have a plastic build by having a look at the pictures online, But those are metal builds. Going below the main units is the Y-Cord which is observed exactly in between the main unit and the 3.5mm audio connector. The thing which strikes me the most here is that there're no in-line microphone or any play pause buttons anywhere. So if you're listening to music or thinking of placing a call, you might have a hard time here. I feel that the play pause button might be old school now since we're 24/7 on our phones, But the microphone is a necessity. As who wants to plug-out the earphones to attend a call and then plug back in, to listen to the music, when done? This directly hinders the audio listening experience. The main units have a nice Right and Left indications imprinted on the sides to help it recognize better. Lastly, the oxygen free cables perform the job of untangling themselves from any weird folds that happen when kept in your bags. But that untangling experience isn't as smooth as what we've observed with the earlier Brainwavz M1. Audio Quality on the new Brainwavz M2 has improved a lot when compared to the previous M1's the high's and low's are perfectly felt and are on the positive side. Vocals are crisp, and instrumental music is also on the prettier side. But when it comes to the bass experience it's on the flatter side. So Bass lovers aren't going to enjoy these earphones, But the traditional listeners and hip-hop, trans-genre listeners are going to have a fun time playing with these earphones. If you're down with equalizers consider turning off the bass to understand the complete potential of the new Brainwavz M2's. If tuned correctly into equalizer presets this might be a delight for non-bass lovers, and you might enjoy the audio listening game. Noise isolation also gets a huge thumbs up while listening to music, As the background distortion or noise goes almost entirely removed. The Audiophile loves a good set of Earphones, but it's an absolute treat when the person gets external Accessories with the same. I think Brainwavz does an excellent job in this department providing ample amount of Eartips and the signature "Comply" ear tips which complement the audio experience stepping up the game to an entirely different level. Not only are the comply tips, soft but they also help in producing a quality output which is always a pleasure. The Brainwavz M2's get packed inside a great hard shell box which accompanies the earphones itself, six sets of silicone ear tips to fit all ear sizes with double and triple flanges, Alongside the single set of comply ear tips & lastly there's a 24 months warranty card inside that hard shell box. The Build quality lies as it's the strongest point when you consider it as an upgrade over the earlier Brainwavz M1. Along with that when it comes to the new Brainwavz M2 review, the Audio performance is definitely on the upper side, even though the bass output is flat. But most of us can live with that, whereas the external accessories provided with the earphones are a cherry on the top of the cake. All these factors lie in decent place when it comes to an overall mid-range earphone consideration. The Brainwavz M2 cost Rs.3,499 now this single turn few faces off the road when considering these earphones, But trust me the overall build has to be appreciated with that fact and accessories that you get along with that. There are ample amount of Earphones which sound almost the same, and they cost you fewer bucks. But you might find some design flaws or hefty built earphones, So there's that. At the end of the day, It's a user opinionated choice, whether you need the whole package or just the audio experience. Links to buy: The Brainwavz M2 is available in Flipkart, Amazon & Gadgets360.